The chat settings are spread across several menus and allow you to alter the chat channels, tabs and font size. 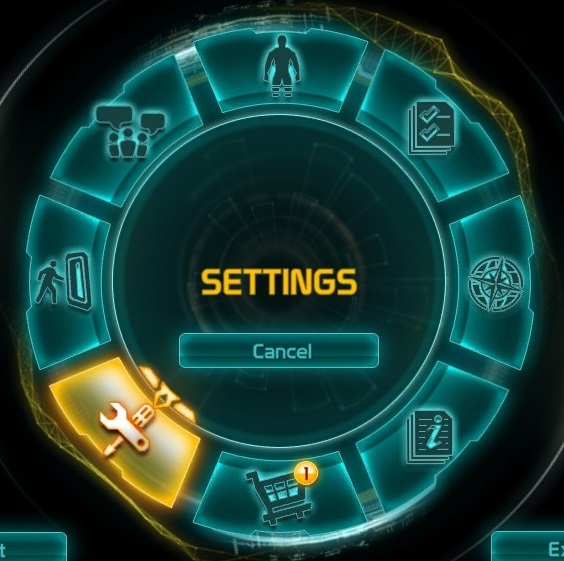 To reach the chat settings open the Radial menu (ESC) and select Settings. 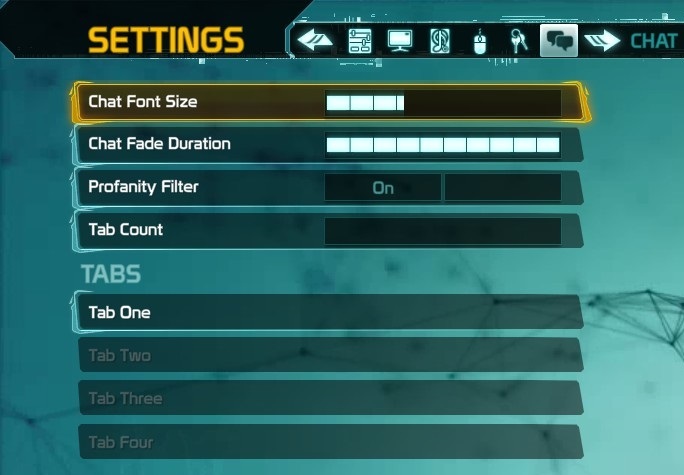 In the Gameplay section of the settings there is a few options for chat settings. 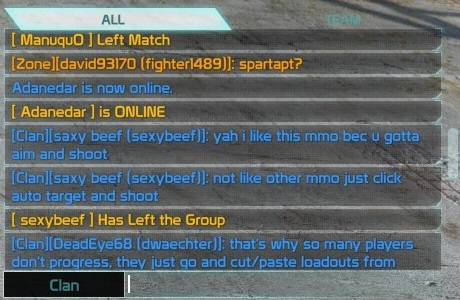 Show Account Names - Show a players account name in brackets in the chat window and show it on their nameplate in game. 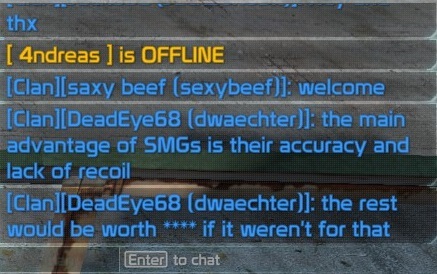 Show Character Names - Show a players character name in chat messages and show it on their nameplate in game. Both Show Account Names and Show Character Names can be turned on, but both cannot be turned off. There must be one active. Show Friend Notifications - Show various social notifications relating to your friends in your chat window. Still in the settings on the tab for Chat there are more chat settings. 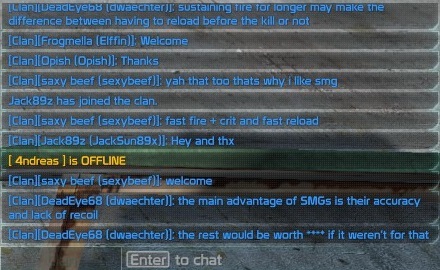 Clicking on a chat tab will display options. 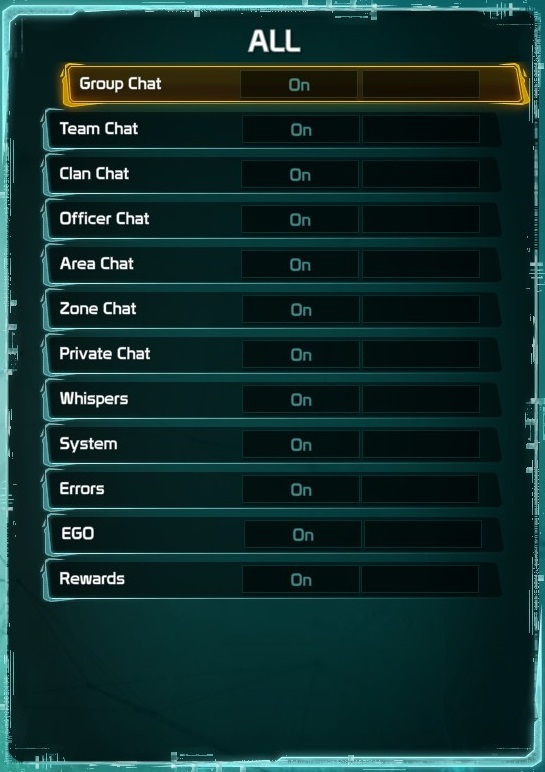 You can select which chat channels a chat tab will display. You can rename chat tabs with a button on the bottom of the screen after you have selected a chat tab.